Qualification: Junior Engineer (JE): Passed Diploma or Degree in Engineering in relevant discipline from a recognized board. Junior Engineer (IT): Passed PGDCA/B.Sc/B.Tech/BCA in Computer Science or ITDMS (Depot Material Superintendent) Passed Diploma/Degree in Engineering from a recognized board. Age :Candidates age should be between 21-33 years. Selection Process :Candidates will be selected on the basis of Written Exam, Document Verification, Medical Exam. How To Apply: Candidates have to visit the official website or direct link given below. Fill in all the details asked in RRB JE Online application form. Upload a copy of your recent photograph (If Necessary). Later, attach Scanned Copies of necessary documents. Pay Prescribed application fee. 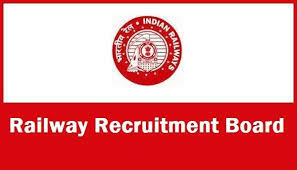 Finally, press submit button to complete RRB JE Recruitment 2019 Process.